It doesn’t really matter what fruit or combination of fruits that you use. 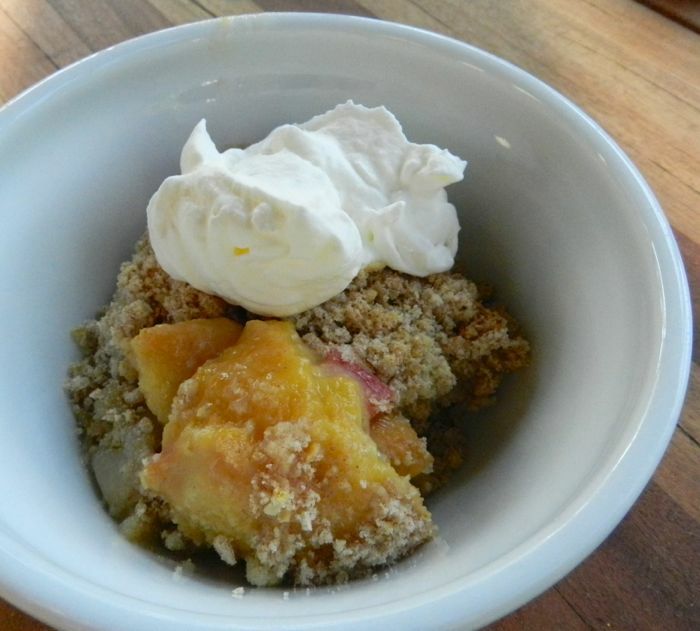 During rhubarb season I use 3 cups of rhubarb along with another fruit. This recipe makes enough topping for 4 crisps. Freeze the extra and you’ll be able to make a crisp on short notice. 1. Preheat the oven to 350 degrees F. Coat a baking dish or pie plate with non-stick spray. 2. Combine the fruit and egg in bowl. 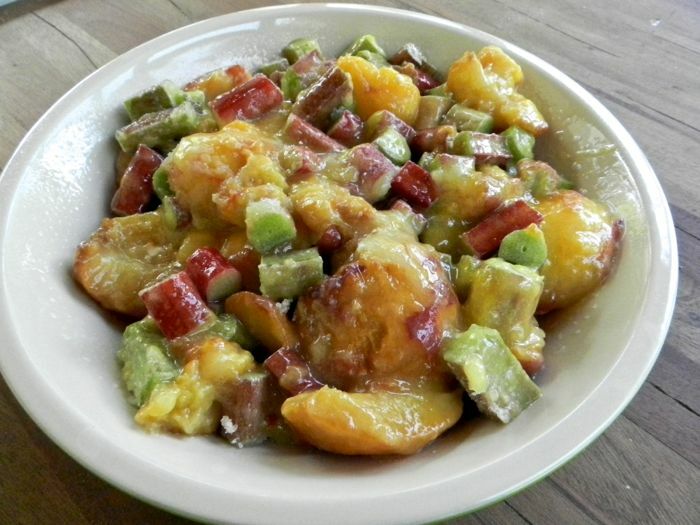 In a small bowl, mix the 1/2 cup sugar and thickener, then stir into the fruit. 3. Put the fruit into the baking dish. 4. 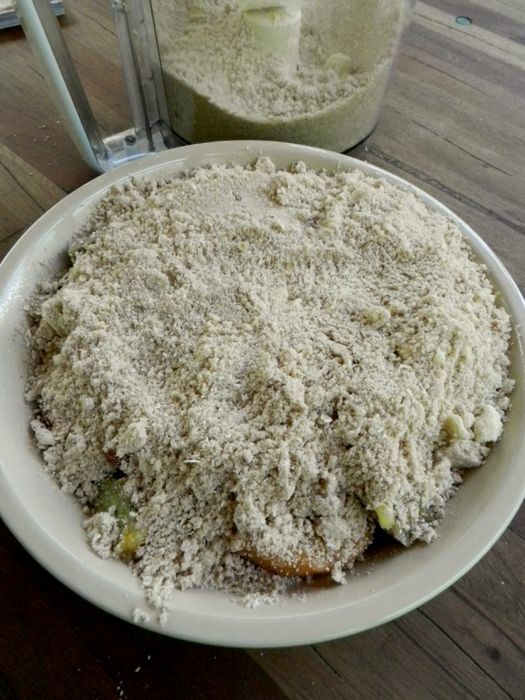 Put all of the topping ingredients into a food processor and pulse until the mixture is coarse and crumbly. 5. 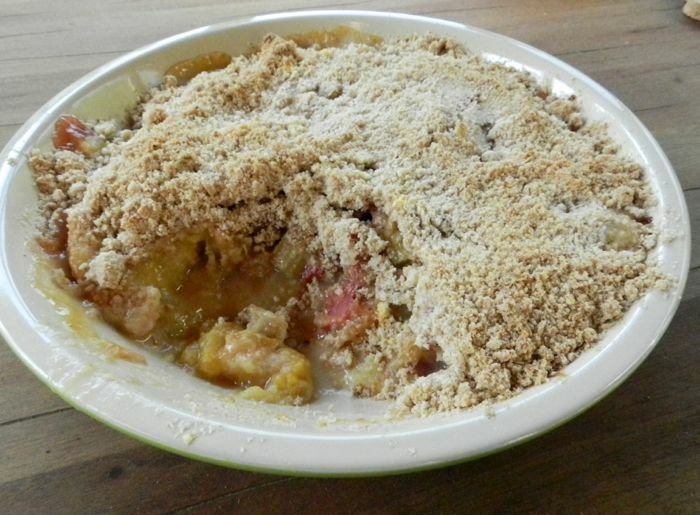 Evenly distribute about 1 cup of the topping over the fruit. 6. Bake for 45 minutes to an hour, or until the crisp is bubbly and the topping is lightly browned. This is delicious plain. It’s excellent for breakfast with yogurt. I happened to have a bit of heavy cream in the fridge, which I whipped by hand (which yields a better texture than when done in a mixer) and had it for dessert.